Please send a short abstract of your contribution/presentation (max 1 page) to the contact given below by 29th September . Focus on practical results and success stories of ESS, NBS and HGGI solutions and their benefits. Authors selected for presentation will be notified by mid October. Further registration details will follow. 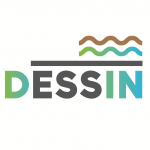 The EU-funded DESSIN project together with the WssTP Working Groups on Ecosystem Services and Green Infrastructure will organise a half-day workshop in Brussels, back-to-back with the annual Water Knowledge Europe brokerage event of the WssTP (that is taking place on 29-30 November), and is inviting presentations from other projects working on the topic of the event. Best-practice examples of approaches and technologies how ESS, NBS and HGGI can contribute to innovation in the water sector and help tackle water-related challenges (such as water quality and water scarcity). Exchange experience on implementation: success stories and success factors, barriers for implementation and how they can be overcome. Identify possible way forwards, actions to be taken and implications for future European innovation activities in the field. Half-day workshop (afternoon of 28 November) with plenary presentations on project results, and interactive discussion rounds on lessons learnt and possible ways forward to foster broad implementation of ESS, NBS and HGGI solutions.